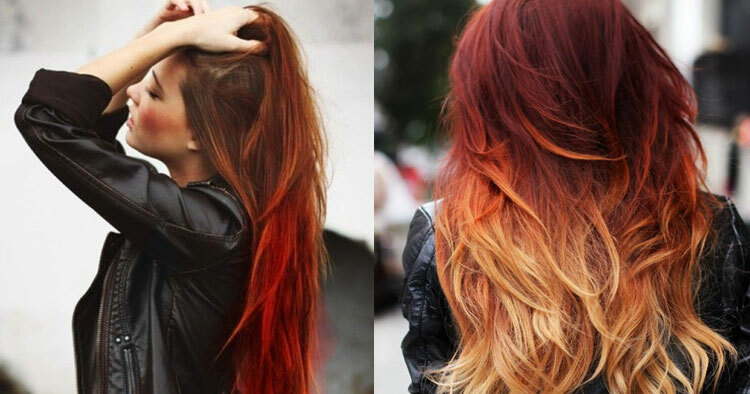 Sunset hair – is this the best ombre hair trend we’ve seen? Colourful hair trends just keep popping up don’t they. It seems like everyone has gone a bit colour mad, sporting just about every colour in the rainbow. The look, once reserved for the misfits, punks, the brave and those looking to make a statement, is now dare I say it, mainstream. 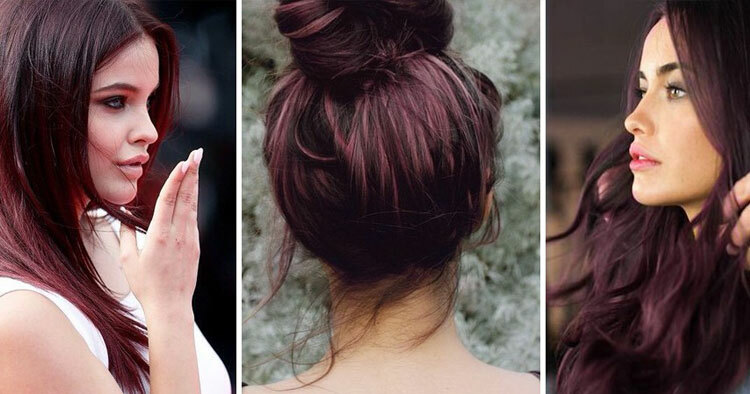 I haven’t caved yet but am leaning towards ombre hair involving berry shades like Renew Mulberry and Burgundy worked into my naturally dark hair. We’ve seen everything from tie dye hair and cherry bombre to mermaid hair. Yet sunset hair is simultaneously edgy and one of the most romantic statement hair trends I’ve seen. 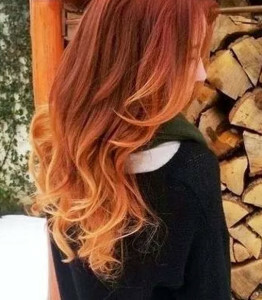 The Sunset hair trend involves creating ombre hair using all the shades of breathtaking tropical sunsets, or combining the shades in your own unique way. This means berry tones, coppers, blondes and yes, all manner of reds all fit in with the trend. Typically, the look starts dark at the roots, however I don’t think there are any rules. In whatever order you choose to apply the colours, the result is simply stunning. The trend originated sometime last year and while it started out as something fun to do with hair chalk or was simply added to hair lengths it has evolved into full blown vibrant coifs from root to ends. You only need to search Instagram to witness just how the sunset hair trend has snowballed. Lily Allen’s fade from Purple to red hair colour gets our approval. Even the celebs have embraced this addition to the colourful hair craze. Lily Allen’s Sunset hair transformation is one that saw much admiration from the beauty community. Her hair starts out in dark brooding Mulberry and graduates to a lively red such as Renew Wine Red with Light Golden Blonde tips. In the image above, the addition of blue eyeliner really takes her look to new heights, giving the impression of a sunset over the ocean. Hair health is important – damaged hair won’t hold colour well. Before you begin your colour journey make sure your hair is in good condition. Especially if you need to bleach your hair before colouring. Cool it down – hot water opens up your hair cuticle, allowing colour to escape. Wash your hair with as cold water as you can tolerate. Plus, if you’re sporting multiple shades this will also make sure the colours don’t eventually bleed into one another. Choose Sulphate free – shampoos with sulphates, styling products that contain alcohol and even anti dandruff shampoos will drastically fade and strip hair colour. Even when using sulphate free shampoo, you should still avoid shampooing your hair lengths. Concentrate on the roots, where it is the greasiest and simply rinse the shampoo through the lengths when washing it out. Conditioner colour mix – this isn’t for everyone, but if you’re rocking solid colour, adding some of it to your conditioner is a neat trick. It will deposit a small amount of colour to your hair whenever you use conditioner and hopefully offset the natural fading that occurs. Sun Sabotage – prolonged exposure to the sun will also fade your luscious locks. Try wearing a hat to protect your hair or use one of the many UV protection sprays available. These days most heat protectant products also contain UV protection.